Are you looking for an insurance broker job in Ontario? Do you live in the Toronto GTA area? Unsatisfied with what you currently do? Looking for a new career challenge? Have you considered insurance career as an insurance broker? If you are ready to make a change and join a progressive company with strong earning potential and career growth opportunities, apply for insurance broker jobs with ThinkInsure. Looking For A Job As An Insurance Broker In Toronto Or GTA? ThinkInsure is a full-service independent insurance broker, based in Markham, Ontario. We are a leading independent insurance brokerage in Canada that is growing and looking to add to our team of insurance agents and brokers. We're committed to the professional development of our brokers and insurance professionals in the ever-changing insurance industry. We offer a great team environment, the opportunity to work with the latest insurance technology and tools and a strong compensation package. We want you to be part of our growing team. Learn more about ThinkInsure. Why Consider A Job As An Insurance Broker? It’s a stable industry : Insurance is not going anywhere and it is here to stay. Countless career paths : Whether you want to be an insurance broker, agent, handle claims, be an underwriter or work as a customer service representative, there are many opportunities. Competitive salary and benefits : Insurance brokers and insurance companies compensate well for top talent. Depending on your role, you can earn commission and bonuses on top of your base insurance broker salary. 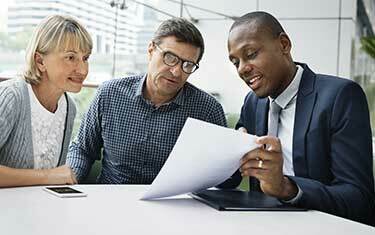 Lots of opportunity : The aging workforce in the insurance industry is retiring. This has created a great opportunity for millennials, new grads, and experienced professionals to start and grow their careers. What Are Some Jobs For Insurance Brokers? However, some of the most popular, lucrative, and progressive insurance careers are insurance brokers, insurance sales, and producers. An insurance broker is an insurance specialist who works independently or as part of a brokerage on behalf of many insurance companies. They act on behalf of their customers and help them identify insurance needs, get insurance quotes, and act as their liaison between insurance providers. Insurance broker salaries in Ontario are based on a number of factors, including your level of experience, insurance broker level and job classification. The insurance broker salary range will vary based on your employer. Brokerages offer competitive compensation packages and high earning potential through commission and bonuses. Employee benefits, insurance discounts and other perks are also included as part of your compensation package. What Are Insurance Broker Sales Positions? 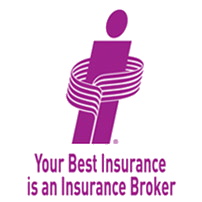 Insurance broker sales positions involve helping a brokerage or insurance company prospect and add new customers. You help potential clients by identifying their insurance needs and matching insurance products that address these needs. Networking and executing marketing and sales strategies is a key component of these roles. Insurance producers are also commonly referred to as insurance agents or brokers. An insurance producer is tasked with selling insurance coverage for a variety of insurance products, personal and commercial lines. Continue to read more to learn how to become an insurance producer and broker. What Is The Difference Between Insurance Broker vs. Agent vs. Producer? While an insurance agent typically works for a single insurance company, an insurance broker or insurance producer works for an insurance brokerage and can help customers compare insurance quotes and coverage options from multiple insurers. The real difference between these insurance job titles is who you work for. The actual work you do is similar. The insurance industry is changing. There are new insurance products and coverage, new ways of doing business, and new career opportunities for insurance brokers and agents. This also means new types of insurance broker jobs and career paths for insurance professionals. 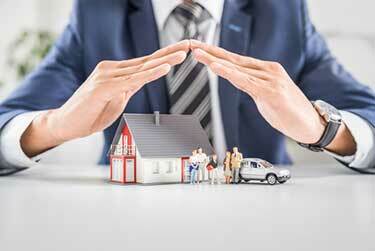 An insurance broker works as the intermediary between customers and insurance companies. You will use your knowledge of insurance products and coverage to help individuals find personal and commercial insurance policies that meet their specific needs. You will work independently and can offer insurance solutions from partnering insurance companies. Much like insurance careers in general, there are many different types of insurance broker jobs. 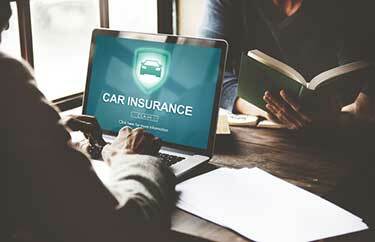 You could specialize in a particular type of insurance product, such as auto insurance or health insurance. Or you could focus on a specific job function, such as customer service or sales. Assess insurance needs : Assess individuals insurance needs for home and car insurance, as well as commercial and life insurance products. Coverage : Compare insurance coverage options from different insurance companies to help customers get the best insurance rates. Advice : Answer questions, explain insurance policy terminology, and provide exceptional customer service. Customer service : Assist with insurance policy renewals, coverage updates, and other administrative tasks. Claims : Work with customers to ensure insurance claims are handled fairly. Education : Continuous education about new insurance products, policies and processes. Sales : Execute marketing and sales strategies to acquire new business. What Qualifications Do You Need To Be An Insurance Broker? Experience : As an insurance broker, insurance agent, or insurance advisor in Ontario. RIBO licensed : RIBO licensed is preferred. We are willing to work with candidates to help them obtain a RIBO license if it’s required for the position. Education : A college diploma or university degree is preferred. Knowledge : A strong understanding of insurance policy, coverage details, and risk assessment. A drive to succee d: We’re looking for proactive insurance professionals interested in taking their career to the next level. Strong interpersonal skills – the ability to build trusting relationships with clients. Strong sales and marketing skills – the ability to attract and retain customers. Proficiency in MS Office products such as Word, Excel and Outlook. Proficiency in Broker Management Systems and CRMs. Insurance broker sales is a specific role that is focused on completing sales, adding new business and helping customers with their quotes. As part of your role, you will answer online inquiries and inbound calls, follow up on sales leads, provide insurance advice and offer an exceptional customer experience. Insurance broker service jobs are focused on providing exceptional service and assistance to existing customers. You will assist customers with processing policy changes, addressing concerns, assisting with insurance claims and reviewing renewals. As with other insurance careers, insurance brokers obtain a license. In Ontario, you will need to be licensed through the Registered Insurance Brokers of Ontario (RIBO). 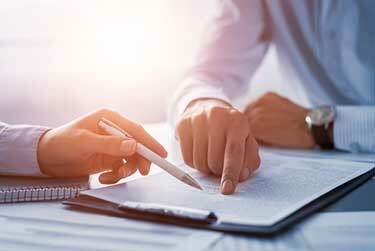 While not required, many insurance brokerages prefer candidates with a college diploma. How Do You Become An Insurance Broker In Ontario? Study for the licensing exam. Pass the RIBO Level 1 exam. Find a position at a registered insurance brokerage within 1 year of passing the exam. Comply with RIBO continuing education requirements. Exam fees and a criminal background check are also required. Do I Need A RIBO License To Be Considered For Insurance Broker Jobs In Ontario? Yes, in most cases. Most insurance brokers require you have a RIBO license to qualify. However, in some instances, brokerages may be willing to hire you without a RIBO licence if you meet all other qualifications and you are working toward getting RIBO licensed. Why Work As An Insurance Broker At ThinkInsure ? ThinkInsure is at the forefront of the broker model and continues to evolve and do things differently. We’re not your traditional brokerage. Our brokers are part of a strong culture that is focused on working hard, professional growth, helping people and having fun doing it! The opportunity to work with a leading online insurance broker. We are growing fast and offer lots of opportunities for career growth. Progressive use of insurance-based technology. Strong earning potential, including commission and bonuses. We are committed to continued investment in insurance technology, giving you access to cutting edge insurance systems and best practices. 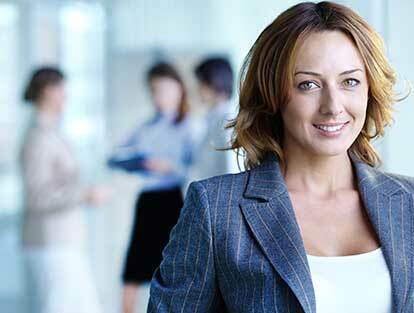 Career development and training programs – working as a broker is just the starting point of your career in insurance. Are There Current Insurance Broker Job Openings? ThinkInsure is always looking for top insurance talent. If you are an insurance agent, insurance broker, or are looking for insurance jobs, please check back regularly or submit your resume. Start Your Insurance Broker Career Today! Ready to take the next step in your insurance career? Interested in joining the ThinkInsure team? Please click below to apply for an insurance broker job at ThinkInsure.